BBC Countryfile Live has been run for the last two summers in the majestic grounds of Blenheim Palace. This vibrant countryside-promoting event is when the Countryfile presenters, and their stories, come alive. It’s when the tales, animals and food from the British farming industry are shared with thousands of interested citizens. 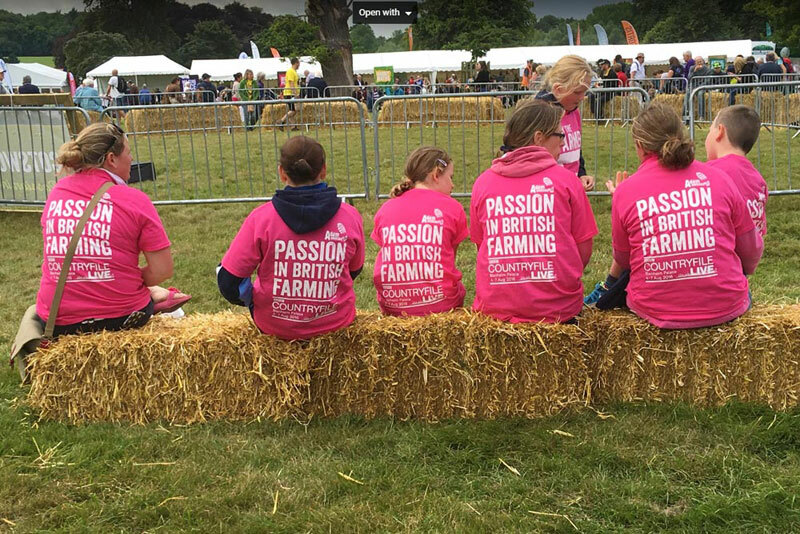 We were lucky enough to work with Adam Henson and his Cotswold Farm Park team in 2016, led by the brilliant Kate Lord, to bring together farmers, partners and some of the animals to the Adam’s Farm area of the event. Scores of farmers gave up their time, as volunteers, to speak to the event’s visitors. We curated ‘mini-shows’ and demonstrations within the Adam’s Farm arena, including mock sheep auction, cow milking demonstrations, talks on the different animal species and shearing displays. Much of the content was developed by our Rebecca Dawes. Rebecca is the former communications, agri and rural affairs manager for the Scottish Association of Young Farmers Clubs, she is a farmer’s daughter and Scottish coordinator for LEAF’s Open Farm Sunday. The Dawes have themselves hosted an Open Farm Sunday event, almost every year, since the initiative was started. Our team is passionate about farming, our countryside and telling our incredible rural stories, so we were honoured to work with Adam, Kate and the team to deliver the first event.